International credit rating agency Standard and Poor has downgraded Turkey’s “sovereign debt rating” from BB/B to BB/B-, sending a loud, clear message to finance moguls of the world to stop lending the country money. The action is a little surprising given that S&P reviews its ratings at regular intervals, and this is an unscheduled one-off move. On the other hand, it may not be so surprising, considering the fact that Turkey’s much-criticised president, Recep Tayyip Erdoğan, has chosen to put his own credibility and that of his governing party on the line by calling an early general election on 24 June. It is no secret that Mr Erdoğan has seriously upset just about everyone in the corridors and hidey holes of global power since his newly-formed AK Party swept into power out of the political blue in 2003. He and his team put a stop to Turkey’s chronic triple-digit inflation almost overnight. They managed to keep their country out of George Dubya Bush’s dishonest and disastrous invasion of Iraq despite strong US pressure to add Muslim credibility to their Christian crusade. Mr Erdoğan has repeatedly called out the United States, Israel and European big-wheels for their shameless aggression and hypocrisy. 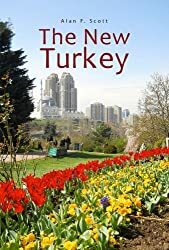 In spite of all the chaos in neighbouring countries, Mr Erdoğan’s government has transformed Turkey from an economic basket-case to one of the world’s growing power-houses, where, as even nay-sayers have to admit, most of the people are now in the middle-income rather than the dirt-poor bracket. While serving as mayor of Istanbul back in the 1990s, Mr Erdoğan was actually convicted and jailed by Turkey’s financial-military elite, allegedly for his radical Islamist agenda. Since his party became the government they have had fifteen years to drag the country back to a mythical nightmare past of fundamentalist Shariah law – and have not yet done so. On the contrary, alcohol is freely consumed in public parks and street cafes even during the fasting month of Ramazan, and the range of available alcoholic beverages, local and imported, has broadened remarkably. Other Muslim countries and even non-Muslim South America are avid consumers of Turkish TV series showcasing life in contemporary Turkey. In spite of a record that would see leaders of less fortunate countries lionised, beatified, or even deified, Mr Erdoğan has had to deal with a relentless barrage of criticism and worse from a significant minority of his own fellow citizens. In the early years he was successful in pulling the teeth of Turkey’s virtually omnipotent military which had overthrown four democratically elected governments from 1960 to 1997. In doing so he enlisted the assistance of Fethullah Gülen’s Hizmet organisation, whose tentacles had extended into every area of government. Possibly the Gülenists were disappointed at not being sufficiently rewarded for their cooperation, because subsequently they turned against Erdoğan and threw their weight behind the forces seeking to oust him. The climax of their efforts was an attempted military coup on 15 July 2016, whose success many of AK Party’s vociferously “democratic” opponents would somewhat perversely have welcomed. Not surprisingly, there has been an ongoing state of emergency and a roundup of suspects involved in the failed coup. Call it a witch hunt if you will – but France lived in a state of emergency for two years with much less justification; and security measures within Turkey are remarkably low-key and minimally disruptive of everyday life. I am more nervous at airports in New Zealand, Australia and the USA than on the streets of Istanbul – despite the warnings I regularly receive from my embassy in Ankara to avoid this city. So why have S&Ps downgraded Turkey’s credit rating to virtual junk status? Well, first of all we should consider just how much credibility Messrs Standard and Poor really have in terms of evaluating risky investments. There is powerful evidence to indicate that they and other “reputable” credit rating agencies played a major role in the global financial crisis of 2007-08. According to Wikipedia: “Credit ratings of AAA (the highest rating available) were given to large portions of even the riskiest pools of loans in the collateralized debt obligation (CDO) market. When the real estate bubble burst in 2007, many loans went bad due to falling housing prices and the inability of bad creditors to refinance. Investors who had trusted the AAA rating to mean that CDO were low-risk had purchased large amounts that later experienced staggering drops in value or could not be sold at any price. For example, institutional investors lost $125 million on $340.7 million worth of CDOs issued by Credit Suisse Group, despite being rated AAA by S&P. Companies pay S&P, Moody’s and Fitch to rate their debt issues. As a result, some critics have contended that the credit ratings agencies are beholden to these issuers and that their ratings are not as objective as they ought to be, due to this ‘pay to play’ model. So maybe Mr Erdoğan and his people have fallen behind in the payment of their protection money. Or maybe (more likely, in my opinion) there is something far more sinister going on. The exchange rate of the Turkish Lira is indeed dropping against the $US, the Euro and £ sterling – none of which feature among the list of growing economies in the world; and what growth they do have is largely attributable to consumer spending and real estate prices. And of course, it’s a self-fulfilling prophecy: downgrade a country’s credit rating and their currency will lose value in the “money markets”. When a country’s currency loses value against the $US, imports inevitably become more expensive, pushing up the internal inflation rate. What is surprising is that, despite the plunging exchange rate of the Turkish Lira, the government has managed to keep internal inflation relatively low and continue economic growth. Well, one of my readers rightly upbraided me recently for seeming to champion unbridled economic growth on a finite planet (thanks Dr Bramhall), and she was absolutely right. Unfortunately, it is the United States of America that set(s) the standard for the rest of the world to follow. They flaunt their lifestyle and inspire others to climb the same dizzying heights of consumer-driven wealth. Does it occur to them that the world’s limited resources will be exhausted long before three billion Chinese and Indians get anywhere near the average US household income? I do continue to ride my bicycle to work, recycle our rubbish and take re-usable shopping bags to the supermarket. I fear, however, that I am in a dwindling minority, and I don’t hold out much hope for the long-term future of Planet Earth.